Advocates, campus practitioners, law enforcement, prosecutors, preventionists, sexual assault nurse examiners/sexual assault examiners (SANE/SAEs), and sexual assault response teams. The Sexual Assault Training Institute (SATI) provides regular, high-quality and professional discipline-specific and multidisciplinary training and technical assistance which is intended to improve the response to and prevention of adult and adolescent sexual assault in Oregon by increasing knowledge, skills, and victim sensitivity. Professionals involved in child abuse interventions or investigations, including law enforcement, child protective services caseworkers, and child abuse intervention center staff. The Oregon Network of CAICs provides training that meets the national best practice standards for serving children and families. They currently offer Oregon Child Forensic Interview Training (OCFIT) three times per year, an annual advanced training topic for interviewers and ongoing training and mentoring for CAIC Directors throughout Oregon. The Network works with regional and national partners to bring special training topics to Oregon. Community-based domestic violence and sexual assault programs, as well as community partners. The Coalition produces a three-day conference that is held every summer. This conference allows advocates and other allied professionals throughout the state to learn, network and develop new tools to take back to their workplace. The Coalition also provides free regional and topical trainings and workshops for member programs on an as-needed, as-available basis. For advocates and allied professionals who are unable to attend in-person core advocacy training due to timing/location/availability, the Coalition offers online basic training accessed through member programs. Provides technical assistance in the form of legal research and educational writing as well as trainings for attorneys, advocates, judges, legislatures, and victims. Several of NCVLI’s training projects are described below. Audience: Professionals (national and international) working with crime victims, including: attorneys, advocates, armed service members, mental health and medical professionals, crisis response workers, law enforcement and local/state/federal prosecutors. Description: Now in its 17th year, the Crime Victim Law Conference continues to be the only national conference on victim law, including a focus on rights enforcement in criminal cases, which is a critical but often overlooked component of holistic victim services. The conference provides participants with the knowledge and practical skills necessary to provide effective legal services to victims of crime. Audience: Attorneys (criminal and civil), non-attorney victim advocates, allied professionals working with crime victims, and others interested in legal developments that affect crime victims. Description: NAVRA offers year-round live and on-demand (recorded) continuing legal education trainings on various topics of interest to practitioners working with crime victims. Past trainings include “Fundamentals of the Neurobiology of Trauma”; “Civil Claims for Crime Victims”; “The Intersection of Prosecutorial Ethics and Victims’ Rights”; “Helping Immigrant Crime Victims Secure U and T Visas; “Campus Sexual Assault Victims: Overview of What You need to Know for Campus Proceedings”; and more. Victim advocates, prosecutors and other allied professionals who interact with crime victims. The OCVLC is a non-profit, 501(c)(3) organization that advocates for crime victims in Oregon to ensure that their constitutional and statutory rights are protected. 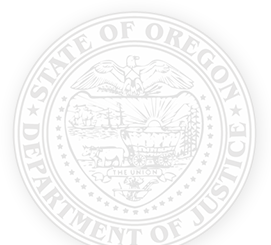 In addition to providing free direct legal representation to crime victims, OCVLC also provides training regarding crime victims’ rights as well as training on the protective orders available to Oregon victims.